Have you checked out the calendar feature on our website? It’s the easiest way to keep track of what’s happening at Bunker Hill! 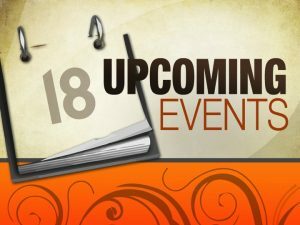 Take a look at the calendar to find out details on these special events happening in May, and more. Come to play, or to watch and enjoy fellowship in the cheering section! Learn about the 5 essentials to a healthy life with health coach Keith Dunham. Come celebrate with our six confirmands and their church family as they affirm their faith. Join us for the our last Sunday School class until fall! Following the worship service, there will be an all-church picnic at Beech Woods Park. Gather with the Griggstown community for a combined worship service with Griggstown Reformed Church congregation commemorating the Memorial Day holiday weekend. This entry was posted on Monday, April 24th, 2017 at 10:37 am and is filed under Church Updates. You can follow any responses to this entry through the RSS 2.0 feed. You can leave a response, or trackback from your own site.